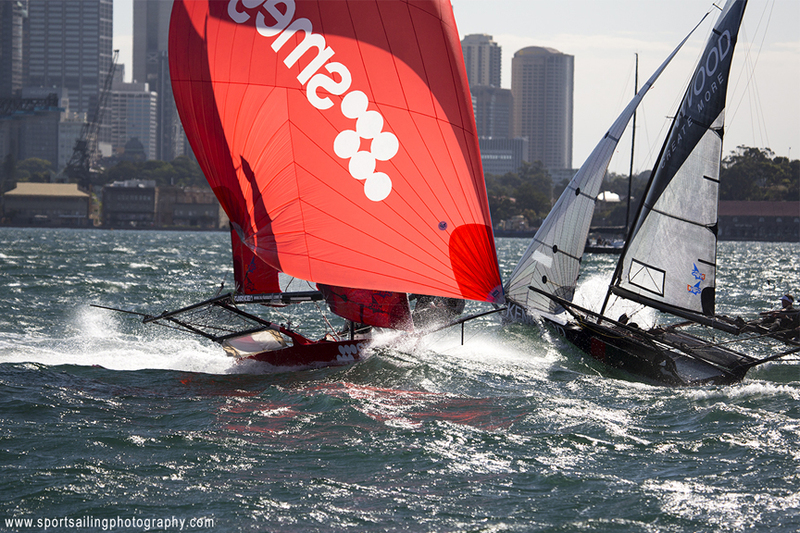 Last Sunday the Australian 18 Footers League staged the opening race of the season in winds which ranged from 25-32 knots on Sydney Harbour. Only two boats started but the empty harbour still wasn’t big enough as the two skiffs almost collided mid race! Cool work from Beth Morley.